The Sheraton Grand at Wild Horse Pass is truly a unique destination offering spectacular desert views, extensive outdoor wedding venues, palatial ballrooms and award-winning cuisine. Featuring a 17,500 sq. ft. full service spa and salon, 36 holes of championship Troon Golf, fine dining at one of Arizona's only AAA Five-Diamond restaurant, Kai, and an onsite equestrian center for horseback adventures along ancient tribal land, this Phoenix Resort meets every need from the engagement to the reception and the honeymoon. 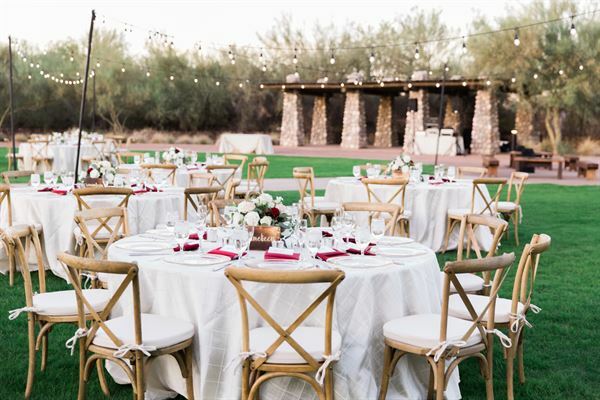 The essence of a one-of-a-kind storybook Arizona wedding.